Jack Ahern can claim to be the world champion of Grand Prix privateers, but he isn’t interested in backslapping accolades. No, his motivation was a fierce hatred of work! There are a couple of golf club hackers up Lismore way with an unusual trophy in their cabinets. Instead of a shiny statue of a player teeing off they have the winged god, Mercury, careering along astride a silver wheel. These trophies are two Isle of Man TT Silver replicas donated by ex-motorcycle racer Jack Ahern a few decades back when his local golf club put out a call for help. Jack has enough TT Silver replicas that the absence of two doesn’t diminish the silverware crowding his modest northern NSW home. As well as TT replicas dating from 1954 (he finished an amazing ninth in the Senior on debut, racing a long-stroke privateer Manx Norton) to 1974 (his last TT outing, racing a privateer 350cc Yamaha two-stroke) there are dozens of trophies from major European and Australian events. 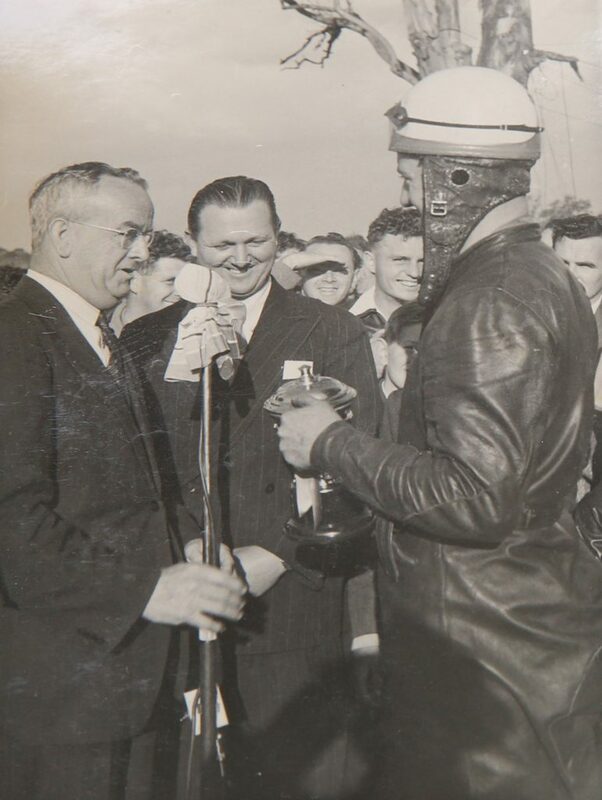 The oldest trophy is inscribed 1947 and is from the Lithgow Motorcycle Club. There are trophies that proved Jack “won the program” at Bathurst, then down in Victoria and over in Western Australia. There are countless cups, sashes and plaques for wins and podiums across Europe in the 1950s and 1960s. But Jack is quick to put the tinware into perspective. “It was never really about the winning,” the nonagenarian says as he reaches for a cigarette. Inhaling deeply and reclining back in his patio chair, the 90-plus-year-old’s eyes suddenly brighten and a large smile appears as the memories flood back. When it’s suggested to him that coming second in the world 500cc Grand Prix championship of 1964 surely makes him the world champion of privateers (winner Hailwood was on an unbeatable works MV Agusta four-cylinder and Jack on an underpowered self-owned-and-maintained Manx Norton single-cylinder) Jack stiffens slightly as if he’s been insulted. Enjoyment is a theme that becomes the thread of our four-hour conversation about a self-funded professional sporting career well-lived in a time when Grand Prix racing was a killing field, circuit conditions were primitive and there were basically two races within each Grand Prix (riders on factory exotica and privateers on their own machinery). Sounds a bit like the Valentino Rossi philosophy, doesn’t it? There is no doubt that Jack had talent. Few finish as high as ninth on debut at the Isle of Man TT (in Jack’s case out of a field of 80 starters). Jack had the potential to be a multiple world champion if he had been a works rider. When he came second in the 1964 title chase he beat Phil Read, who went on to become an eight-time GP champion. But winning wasn’t the motivation for Jack. Jack became a leather-clad gypsy racing on the Continental Circuit throughout the 1950s and 1960s. Without major factory support, sponsorship came from race winnings. It was a life of highs and lows. Camping by Lake Como at the height of summer or changing an engine sprocket in sleeting rain at an Eastern European circuit in autumn. Winning his first and only Grand Prix (the Finnish 500cc GP in 1964) or only just surviving a Manx TT race concussed, with double-vision and a head swathed in bandages (the 1965 Senior). 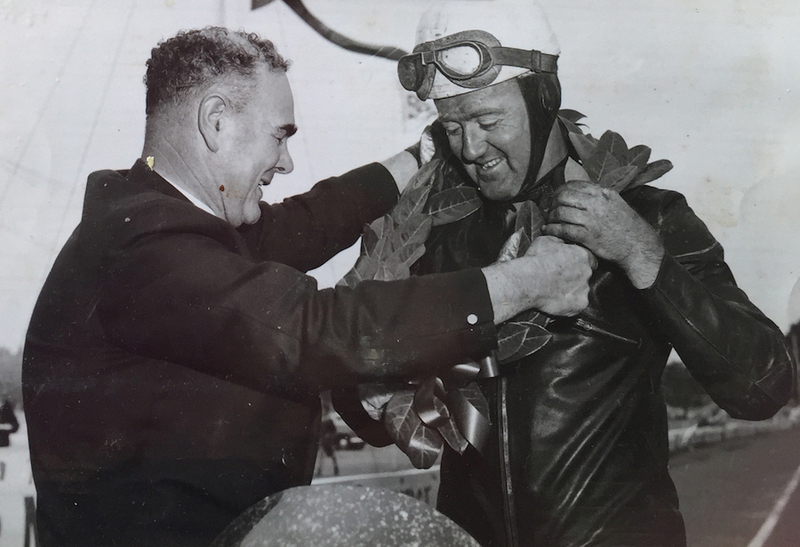 This enjoyment of the whole process of racing – the travelling, the event, the machine set-up, the competition – was done on Jack’s terms. It propelled him into the top echelon of riders despite his advancing years. His greatest GP achievement, in 1964, came when he was 40 years old. 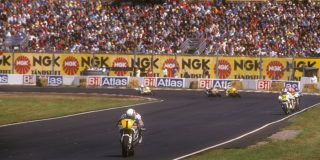 It would take another two decades and Wayne Gardner’s world title in 1987 for an Australian to better Jack’s effort. Jack was raised in the Depression era of the 1930s, which taught him resilience and determination. 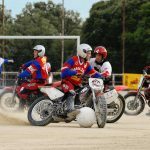 “Every young buck back then had a motorbike so I bought a 1930s Triumph single, joined the local club (Lithgow), started racing and did alright,” he says. He soon realised that if you were good, a modest living could be made from this sport, but the Second World War intervened. 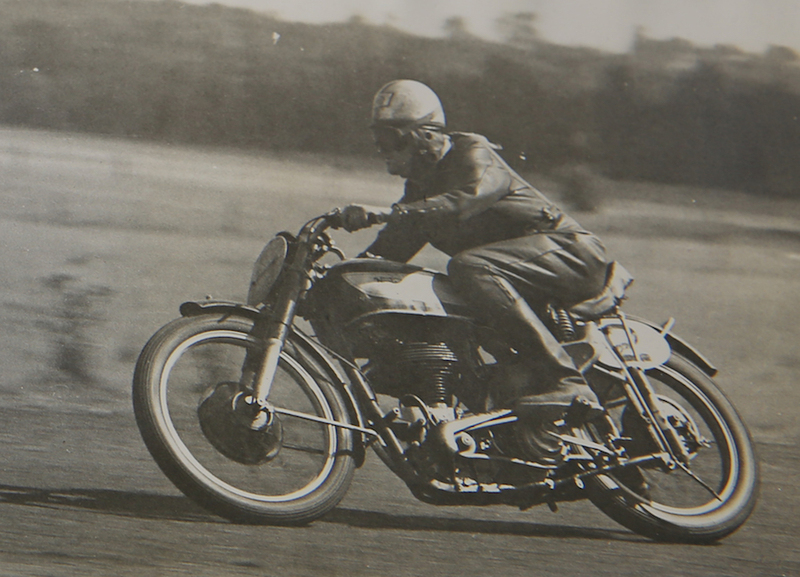 Jack joined the air force and only took up road racing again in 1946. He rose through the gradings and eventually was chosen, aged 29, to represent Australia internationally in 1954. His team-mates were South Australian Laurie Boulter and Victorian Maurice Quincey. Representing Australia meant racing at the world’s most famous and most dangerous circuit, the public-roads Isle of Man TT course. “The Isle of Man was the most important race in the world in those days,” says Jack, as he pulls out another cigarette. He doesn’t have an answer to how he finished that amazing ninth on debut in wet, appalling conditions. Jack does, however, explain that circuit confidence drove him to an amazing 100mph practice lap a few years later. Unofficially he completed an exclusive trio of riders. Mike Hailwood and Derek Minter also achieved this result on single-cylinder machines. The fact that Jack’s lap was done in practice, not during a race, doesn’t greatly diminish the achievement. Jack is modest in describing his skill on the TT circuit. Maybe being slightly older than the other riders made Jack wiser. “I never exceeded the limit, I kept it safe, mate,” he says. Jack may not have climbed on to the TT podium but he was a frontrunner in the seven-plus years he raced there. One year he split the multi-cylinder MV and Gilera works teams on his privateer Norton, an effort that earned him worldwide news coverage. His best TT result came when he was just about to turn 42 years old – fourth in the 1966 350cc Junior. 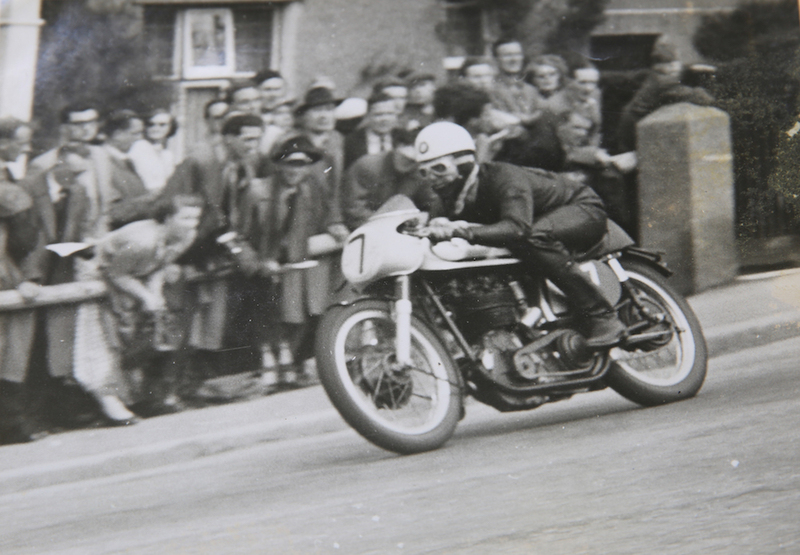 Jack’s unexpected early success at the 1954 TT gave him the confidence to tackle the European circuit. “I did a couple of races and thought, ‘This is bloody easy and you get paid money for it’,” he says. So started years of Continental roaming, with new wife Betty an integral part of it. The years unfolded in a familiar routine. Sail to the UK. 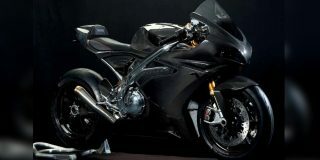 Buy a 350cc and 500cc Manx from the Norton factory. Squeeze a bit of product from distributors selling spark plugs, oil and tyres. Squash everything into a Bedford van, along with cans of baked beans and cartons of cigarettes, and hit the road. Key to a successful season as a privateer was attending meetings that paid appearance money. 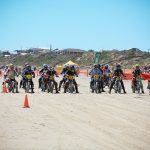 With some attracting nearly 200,000 spectators promoters would pay entertaining riders to enter and allocate them prize money at a rate according to their finishing positions. This meant finding a balance between performance and reliability. Jack soon achieved this compromise and became a leading privateer able to self-fund six months of Continental racing a year before sailing home with his Nortons. 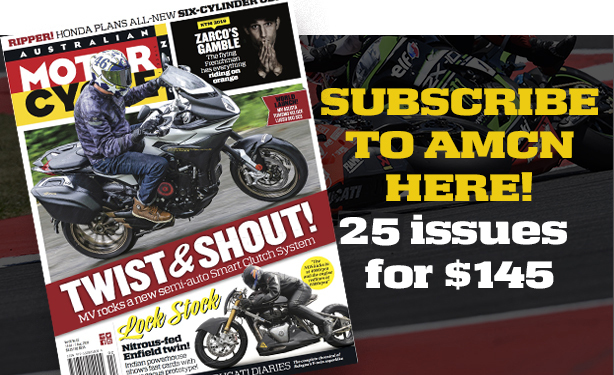 “I rode as hard as I could but never risked my bike’s reliability,” says Jack. “My aim was always to finish in the first half dozen. Jack’s long career as a privateer revolved pretty much around the Manx Norton. 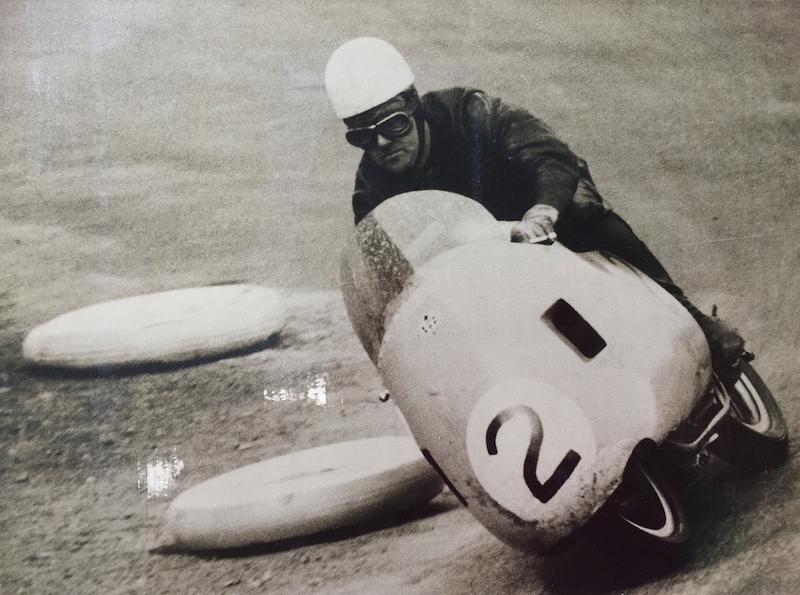 A forewarning of the future was his effort at the 1955 German 500cc GP at Nurburgring. Considered by many to be even more dangerous than the Isle of Man TT, this 205km GP snaked its way on a narrow strip of undulating bitumen through a forest of pine trees. After nine 22.7km laps Jack finished five minutes behind the leaders in sixth place but was the first single-cylinder machine home. 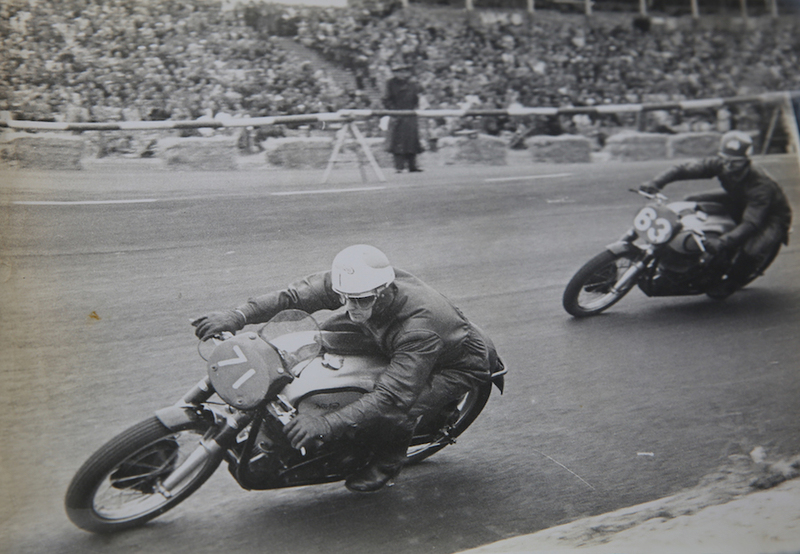 Geoff Duke, the Marc Marquez-like superstar of that period, won on a sophisticated four-cylinder Gilera. 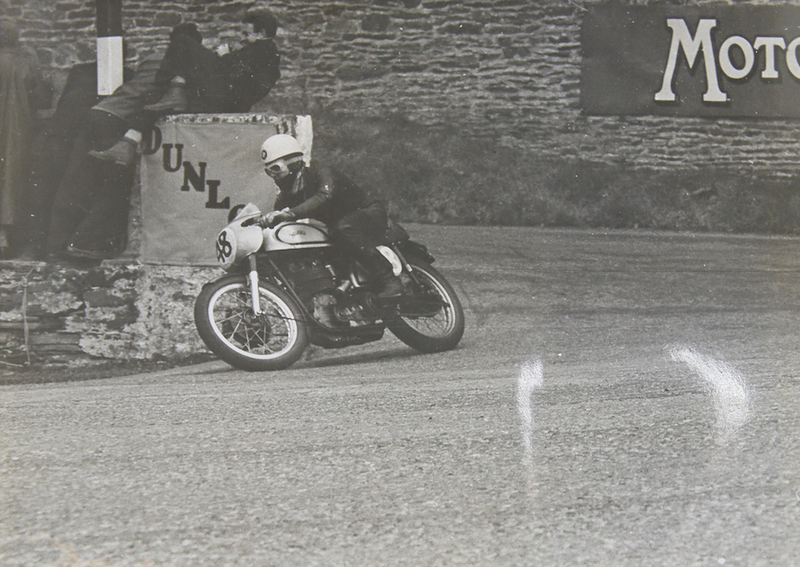 Walter Seller was second on a factory BMW twin, followed by two factory MV Agustas and a Gilera. Jack’s bike was a self-prepared Manx he had bought from the factory. Being supplied for a “colonial” rider, it had none of the factory tuning tweaks that British riders got for nothing. Unlike many of his rivals, Jack was never inclined to delve inside a Manx engine to extract more power out of an old design. A summer of racing back home brought in more prizemoney and then the two Nortons were sold to locals. Jack didn’t just go through the motions at home. Several times he “won the program” and he names the time he did this at Bathurst in 1956 as perhaps his best meeting ever. 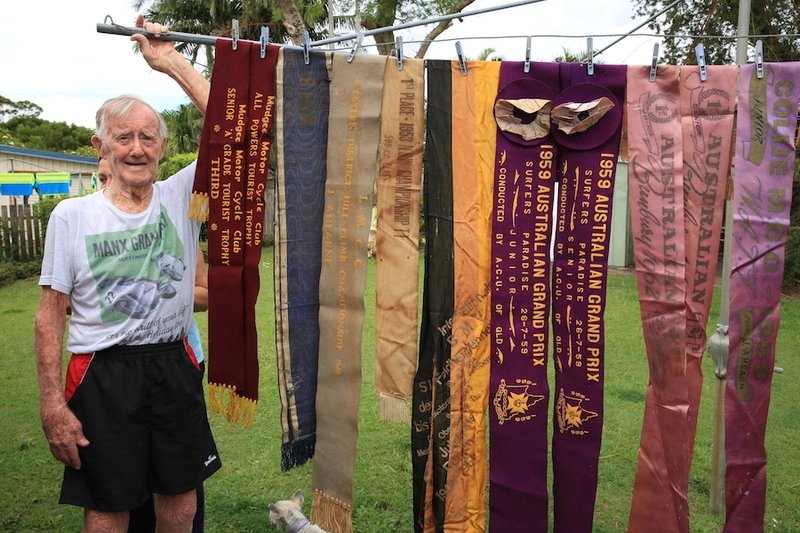 Over the years he had more than 200 wins across Australia. By his count, this includes eight national championships and 20 state titles. Jack might have had his eye on the prizemoney but he carried his sense of fairness throughout his career. This caused an enforced holiday from Europe in 1956 when he became part of a group of GP riders who threatened to boycott a meeting that refused to pay the money it had promised. The sport’s governing body banned Jack and his mates for a season. Also banned was defending world champ Geoff Duke. “You had to stand over the bastards (race promoters) or they’d rob you,” says Jack. Over the seasons both MV Agusta and Gilera kept upping the ante with their multi-cylinder, full-supported works teams. In the 1960s they would be joined by Honda. 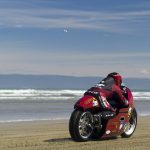 “We just couldn’t catch up with them as nearly all the privateers were on Manx Nortons (with nearly half the power output),” Jack says. Jack never became a works rider. He explains why he never sought the ultimate career-defining moment. “Getting a factory ride took many riders out of their range,” he says. 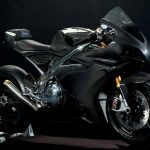 “They were on bikes that the factory mechanics were changing all the time and often the rider would only find out about the change in the race. But twice Jack broke this promise. 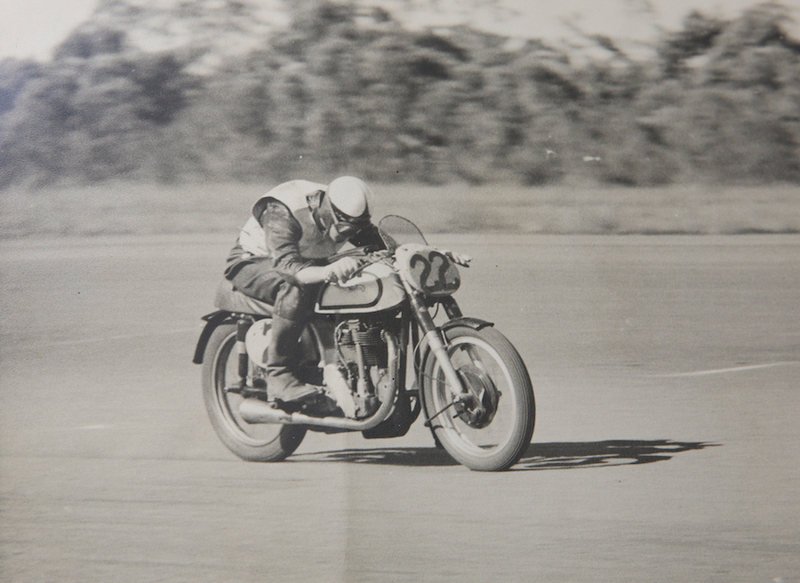 Once was in 1958, when he debuted a prototype of the Matchless G50 single at the Isle of Man. An official report of the race lists Jack coming home in 29th place at an 88.71mph average speed, good enough for him to earn another silver replica. Jack’s next works ride could have killed him. “After Mike Hailwood turned down an offer to ride the new Suzuki, team rider Frank Perris got me involved,” says Jack. He raced the factory’s 250cc square-four two-stroke several times in 1964 and 1965. “The trouble with it was it had just been built and the factory hadn’t got decent-sized tyres on it considering the amount of horsepower it was producing,” he says. He then explains about how a works ride took this rider “out of his range”. “Despite being a 250 it was at least as fast as my Manx,” he says. “So I would come up to a corner where I would be going at full throttle on the Manx and realise that wasn’t possible on the Suzuki. It was not to be. The island’s fickle weather conditions caught out Jack at Sarah’s Cottage, a place that also brought down Hailwood and Ago in similar accidents. “I hadn’t seen water lying on the track there and the back end came around on me as I hit a puddle,” he says. Jack was knocked out. He discharged himself from hospital for Friday’s Senior race on his Manx Norton. “I had a huge bandage around my head and my helmet could hardly fit,” he says. Jack still survived the full race distance. He spent most of the six laps crouching on the footpegs, rather than sitting on the seat, to cushion the jarring to his head from the undulating road surface. 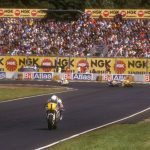 He persisted with the Suzuki in the 250cc class while running his Norton in the 500cc class and suffered another crash that concussed him again. “The Suzuki was faster than the Honda four but you couldn’t keep the engine oil hot on the startline,” he says. 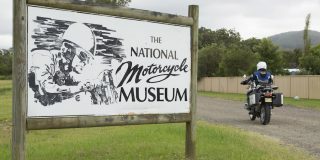 Finally retiring from the Grand Prix scene at the end of 1965, Jack opened a motorcycle shop in the inner-west of Sydney. But Jack found the city lifestyle too hectic for a family with teenagers. “I said, Let’s get the hell out of Sydney,” he says. So the family moved to Northern NSW where Jack has lived ever since. Betty died in 2013 and Jack is adamant he doesn’t want to reach 100 and “get a telegram from the Queen”. His last year of racing was 1974, when he returned for a one-off TT ride on a Yamaha 350 and finished 34th with an average speed of 93.04mph, earning a bronze replica. He then teamed up with a couple of young riders for the Castrol Six Hour on a Norton Commando but crashed out. Certainly not a perfect end to a long race career but an incident that sums up Jack perfectly. 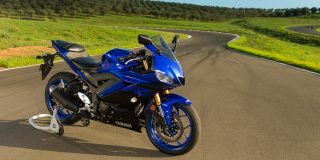 A standard motorcycle, a rider with a big heart, a simple mistake, an honest assessment of that mistake, and move on. Good on you, Jack. Jack Ahearn and Jack Findlay were quintessential Grand Prix private entrants. Ahearn was the first Australian to win a world championship GP on a privately entered machine, winning the 1964 Finnish GP seven weeks before his 40th birthday. Sixty four was the best of his eight seasons on the Continental Circus. Riding a Norton he was se-cond in the world championship to MV Agusta’s Mike Hailwood and claimed the coveted unoffi-cial title of top 500 private entrant. He finished top six in eight of the nine rounds he entered. Just as special through those years was Jack’s fierce independence and character a script writer couldn’t have invented. He served in the armed forces in World War 2, worked a carpenter and taxi driver, raced motorcycles, and sold motorcycles and cars. His flair for the card game Euchre won him money from the crewmen on the ships to England. Ahearn could swear with the best of them and make people who displeased him want to disappear into a hole, but he also had a salesman’s gift for smooth talk. He famously once held a race pro-moter out of an office window for reneging on a deal. Travelling between races in Europe he was known to pause roadside only for a ‘bushman’s breakfast. In Jack’s case, a Stuyvesant cigarette and a coffee. Jack was best man at my parents wedding so I suppose I can say I have truly known him all my life. He is an integral part my earliest memories as a toddler crawling and walking around the race pits, the smell of Castrol R, the beautiful sound of single cylinder engines resonating through everyone and everything, and most importantly my realisation way back then, that motorcycle racing was done by men of special character and substance. As a young child, and now as a reflective adult, I have realised Jack is one the tallest of these men. In congratulating him for this induction to the Hall of Fame, I can only say there are still hundreds of quotes and events yet to be written about Jack and his exploits. Anyone who has met or known him can attest to this. So for this purpose allow me to tell you of one of my “later in life” meetings with Jack when I was 11 years old. 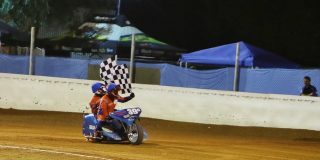 Dad told me to hurry up and get into the car as we reversed out of our driveway in Shepparton to travel over to Benalla and catch the road races at Winton. 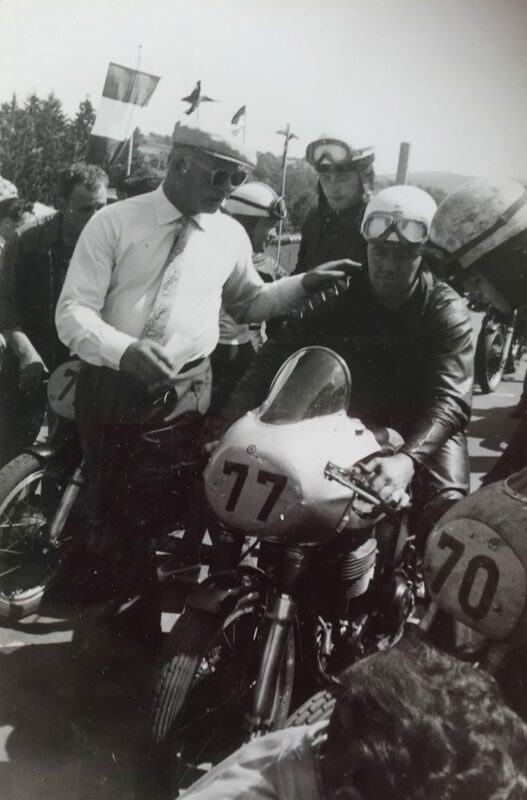 It was the 1967 Tom Phillis Memorial Trophy event and Jack was riding. We entered the pits, running a bit late, some of the support races had already run, and the air was alive with excitement. Amongst bikes screaming up and down the pit lanes and loud-speaker announcements, Dad asked one of the officials for the location of Jack’s tent and pit area. At this point I already knew from pictures and articles in the Green Horror and other magazines, as interpreted by an 11 year old, and from listening to mum and dad talking in the car, that Jack was the current Aus-tralian legend. Fresh back from Europe, the highest ranking Australian 500cc GP rider of all time, ran se-cond to Hailwood in 1964 and so on. It was a real treat for the spectators at Winton, a fact naturally be-ing promoted that way in the program and over the loudspeakers. As we approached Jack’s pit spot, we saw his bike and trailer, plus the car at the rear. A few spectators hanging around were wondering the same thing as us, where’s Jack? Dad instinctively knew to go straight to the car, opened the rear passenger door and there he was sound asleep on the back seat, in his full leathers and boots. Dad nudged one of his boots and he woke up with that typical happy Ahearn atti-tude. Dad asked about his next race, which I think was coming up within the hour, and Dad offered his assistance. I remember Jack saying everything was Ok, the bike was running Ok at the last meeting so it shouldn’t need any attention , and all he had to do was ride around as if he was late for work and it should all turn out beaut! As Jack would say. You can imagine my surprise and wonderment. I couldn’t figure out how anyone could ever sleep in the pits, let alone a famous legendary rider. Also how the hell could someone be so relaxed, just seconds be-fore being called to the starting grid, leaning against the car and sharing jokes with his mate he hadn’t seen for a couple of years. Nothing added up! Little did I realise I was in the presence of greatness. Jack rode smooth and fast and the crowd cheered him into the history books, as had been the case so many times in this great man’s life. Congratulations Jack, you’re not only one of my heroes, you’re an Australian legend.